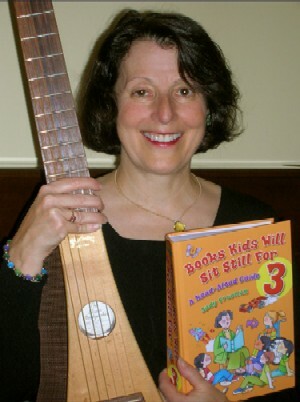 JUDY FREEMAN is a well-known speaker and writer on reading aloud, storytelling, booktalking, and all aspects of children’s literature. A national seminar presenter for BER (Bureau of Education and Research; www.ber.org), she also gives a variety of workshops and speeches at conferences, schools and libraries throughout the world for teachers, librarians, parents, and children. Judy served as a member of the Newbery Committee to select the Newbery Award book for the year 2000 (Bud, Not Buddy by Christopher Paul Curtis) and the 2008 Sibert Committee, to select the most distinguished informational book for children published in 2007 (The Wall: Growing Up Behind the Iron Curtain by Peter Sís). Judy proudly served as a member of the 2014 Caldecott Committee to select the Caldecott Award book for the year 2013 (Locomotive by Brian Floca). Judy has written more than 400 book reviews and other content for best-selling author James Patterson’s spectacular website for parents, librarians, and teachers, and other children’s book-loving souls. Learn more about Judy Freeman and her work at her website, www.judyreadsbooks.com. The Winners! Handbook is put out once a year by Judy Freeman and contains a closer look at some of her top-rated children’s books from the previous year. Each year, Freeman combs through the books named “best of the year” by various library organizations in order to highlight the best of the best, or bring attention to books that had been overlooked by awards committees. Freeman uses this handbook in her acclaimed Winners! Workshop, where she examines various books’ library and classroom applications as well as how the titles tie in to Common Core Standards. Every spring, for the past 30+ years, Judy Freeman has presented her wildly popular, idea-packed, full-day seminar, The Winners! Workshop, throughout New Jersey. Her program is a field day for teachers, librarians, and other children’s literature-lovers looking for innovative and practical ways to use the best of the year’s children’s books for curricular connections, thematic tie-ins, resource-based learning, and just plain fun. If you can’t make it to New Jersey each year, this handbook, upon which Judy’s workshop is based, that each participant receives as part of the day, is the next best thing to being there. Looking for ways to integrate Common Core or your state standards into your classroom or library? In The Winners! Handbook, you’ll discover a host of successful, kid-tested, motivating, literature-based techniques and strategies for reading and writing lessons across the curriculum, giving you a whole new repertoire of irresistible titles your kids will love as read-alones, read alouds, and for book discussion groups. Andrew Clements, himself a former teacher, has been writing middle grade school stories with attitude for more than twenty years, since Frindle caught everyone’s eye in 1996. He excels in slightly rebellious characters who stand up for what is right even if it costs them. Now meet sixth grader Alec Spencer, who, at 9:15 a.m. on the first day of school, is already sitting outside the principal’s office on the bright red plastic chair known as the “Hot Seat.” He sat in it many times in fifth grade, not for the usual infractions like talking back or misbehaving, but for reading. “Once he found a beginning, he had to get to the middle, because the middle always led to the end of the story. And no matter what, Alec had to know what happened next.” We know kids like that. Some of us were kids like that and/or still are. Today, Alec was sent to the office for reading instead of drawing in art class. Now, as he becomes engrossed in Lloyd Alexander’s Newbery classic, The High King, a loud voice demands his attention. “Hey, can you guys smell something?” says his former friend, Kent Blair, the popular kid who likes to show off for his friends by tormenting Alec. “Ohhh! Look! That’s Alec Spencer on the Hot Seat. So the smell? It’s fried bookworm! Get it? Ha-ha!” Inside the principal’s office, Mrs. Vance tells him that if he chooses not to change his classroom behavior and bring up his grades in study skills, not to mention class participation and attitude reports, he will be attending a special six-week studies skill program in summer school to catch up. The teachers have also been talking about how to deal with Alec’s singular problem and have arranged for him to sit front and center in every class. This year, instead of going right home after school, Alec and his brother Luke, a third grader, are enrolled in the three-hour Extended Day Program in the gym. He figures he’ll be able to read with no interruptions. Unfortunately, he is given three options: sign up for the Active Games Program, the Clubs Program, or do homework in the Homework Room. He is, however, free to start a club of his own but he must find at least one other kid who wants to join. 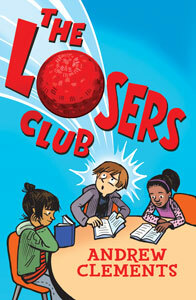 He calls it The Losers Club, hoping no one else but his friend Dave will want to join it because of the off-putting name. Unfortunately, there’s another kid in Extended Day—Alec’s nemesis, Kent, who ridicules Alec’s idea and calls him a bookworm, a nickname Alec detests because of Kent’s derisive way of saying it. Unfortunately, Kent talks Dave into staying with the Active Games group that will be playing kickball every day. What he needs is another bookworm. Luckily, Alec spots one, a tough as nails kid named Nina Warner, sitting at the Origami Club table, engrossed in one of his favorites, A Wrinkle in Time. When she agrees to sign on to his club, the two plan to do nothing but read for three hours every day. Pretty soon, though, other kids want to join. And Alec, who is developing a crush on Nina, is none too pleased when Kent decides he likes her, too. Aside from the emphasis on the power of reading great books, the story, divided into brief chapters with punch, deals with boy/girl relationships, competition, one-upmanship, jealousy, revenge, and the differences between fiction and real life. All in a day’s work in a Clements book. GERM: You’ll want to introduce/booktalk/make available all the books Alec and the other kids read in the course of the book. Sure, your kids all know the Wimpy Kid books, but how about Bud, Not Buddy by Christopher Paul Curtis, The Giver by Lois Lowry, or even The Very Hungry Caterpillar by Eric Carle? These and forty-nine other titles mentioned in the course of the story are on the Losers Club Book List at the back of the book. Run off copies and have your students check off ones they’ve read or would like to read. Have them add titles of their own favorites at the end of the list or start a new list—a class chart that kids can add onto and use for inspiration when they can’t think what to read next. One of the selections Alec reads is Ray Bradbury’s gripping short story, “All Summer in a Day.” Don’t miss reading it aloud. If your library doesn’t have a copy, you can find it on docs.google.com—just type the title in the search bar. To order the “Winners! Handbook” click on the link within with the photo, to order the BOOKS mentioned inside the handbook, use the green “Click Here” button provided.